LG is aiming for enough capacity to produce 100,000 modules per day by the end of 2017, though mass shipments are only expected to kick off in 2018, South Korea's ET News claimed on Thursday. Orders should continue through 2019 and possibly beyond. The new factory is said to be LG's first producing iPhone cameras modules outside of South Korea, and necessary because seven production lines in Gumi are already operating round-the-clock -- some 700 people have allegedly been hired for camera module production in the last six months. Operating in Vietnam is also expected to feed LG's bottom line, as labor costs are reportedly about a tenth those in Korea. Apple now has not one but three iPhone models with dual-lens cameras: 7 Plus, the 8 Plus, and the iPhone X, which goes up for preorder at 12:01 a.m. Pacific time on Friday. 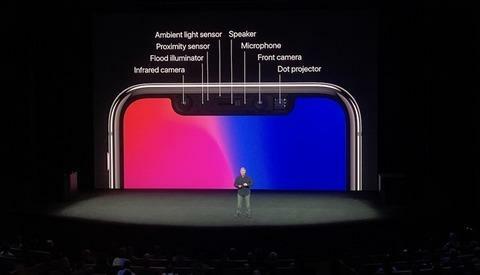 In each case the second lens enables optical zoom, as well as a Portrait mode that simulates the depth-of-field effects of DSLRs. Several single-lens iPhones are on sale, including the iPhone 6s, 6s Plus, SE, 7, and 8. It's not yet clear if the X -- which Apple positions as the future of iPhone design -- means that single-lens modules will eventually be phased out. Hmm. Last I saw, Sony was also building a new facility to focus on camera modules, primarily for Apple. Of course, dual sourcing is to be expected as well as the possibility that each is used in different products. I thought Sony produces all the camera sensors for Apple. If LG produces the camera sensors they build for Apple, then it would be interesting to compare the two side by side. With so many different types of "cameras" in the iPhone X I wonder if Sony and LG are even competing here. Could the source even be referring to the dot projector as a camera? I could be wrong but I thought I read last year Sony will only be making camera modules just for Sony phones. The camera sensor goes inside the module. I imagine Sony is still making camera sensors for the iPhone but LG is making the module.